August 2013 is the month given for all applicants of Physical Therapists licensure examinations in the cities of Manila & Cebu. The PT board passers August 2013 has 355 out of 679 examinees of Physical Therapists board exam results. You can view here the results, Professional Regulation Commission officially published it. 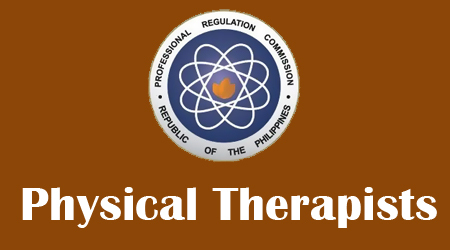 This February, a total of 285 passers out of 579 examinees of the Physical Therapist Licensure Examination released by PRC. PRC usually conducted this Physical Therapist Licensure Examination twice a year. And the official results released in two days after the last day of examinations. Comments or suggestions about "August 2013 Physical Therapists Board Exam Results | PT Board Passers August 2013" is important to us, you may share it by using the comment box below.